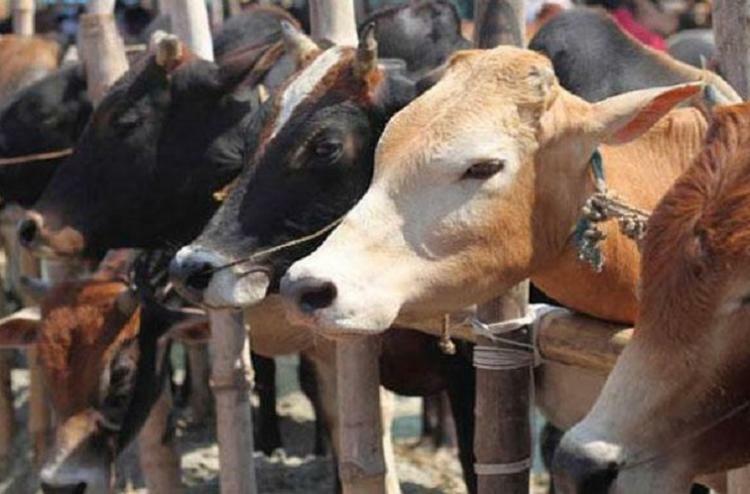 A 45-year-old man was beaten to death and his friend severally thrashed by four people for allegedly slaughtering a cow in Satna district, the police said. The four accused have been arrested, they said. The accused, on getting information that two persons were slaughtering a cow at a forest area in Anjar village, about 70 kms from here, reached the spot and allegedly beat one of them to death on the intervening night of Thursday and Friday, Superintendent of Police Rajesh Hingerkar said. The deceased has been identified as Siraj, he said. The other person, identified as Shakeel (35), was also brutally beaten and sustained severe injuries, he said. Sub-Divisional Officer of Police, Maiher area, Arvind Tiwari, said they recovered “beef” and the carcass of a slaughtered bull from the spot. As per the investigation, the deceased was beaten with lathis (sticks), he said. On getting information about the incident, the police reached the spot and rushed the injured person for treatment to a hospital in Jabalpur district, Tiwari said. The police have arrested four persons — Pawan Singh (35), Vijay Singh (26), Phool Singh (36) and Narayan Singh (28) — in connection with the incident, he said. About 400 policemen have been deployed to maintain law and order in the area following the incident, Inspector General of Police, Rewa Range, Umesh Joga said.